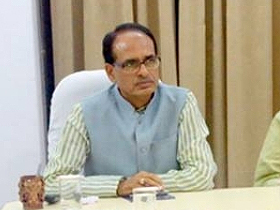 Chief Minister Shivraj Singh Chouhan attended house warming ceremony of Ramsingh at Ban village of Ranapur block- Jhabua district on August 27. It may be mentioned that Ramsingh’s family has got pucca house under the Pradhan Mantri Awas Yojana. The Minister-in-charge of the District Shri Vishwas Sarang and other Public Representatives were present on the occasion. 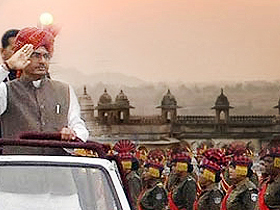 Ramsingh informed the Chief Minister that he takes care of his family by doing labour work. He had a kuccha house consisting of one room. He used to be scared of losing his house every rainy season. Ramsingh, the beneficiary further owing to Pradhan Mantri Awas Yojana, he now has a house of his own. Besides this, since there is a toilet in the house, now his family does not have to step outside for the toilet.